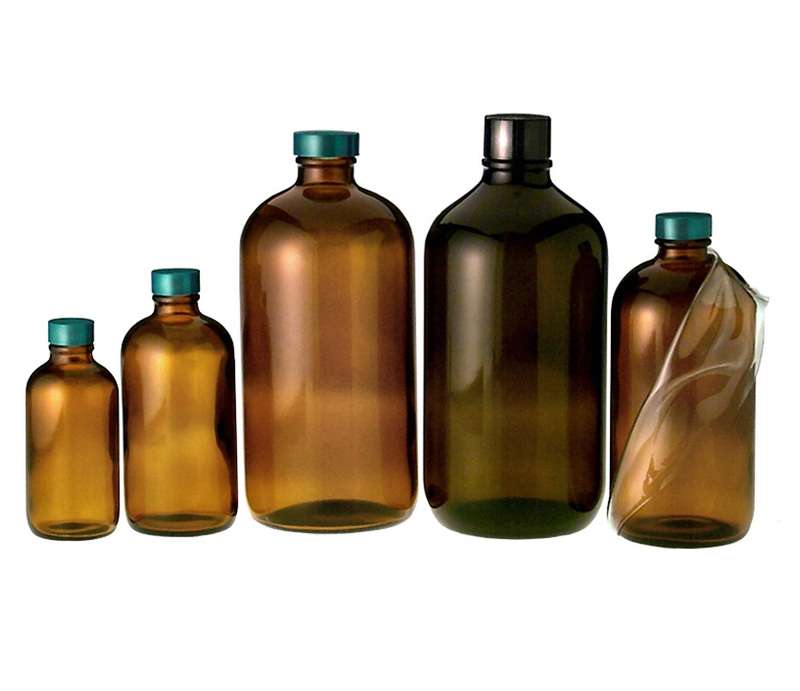 Bottles and Jars, Safety Coated Amber Glass Boston Round Bottles are glass Boston Rounds that have been coated in a layer of Plastisol. These plastic-coated Boston Round bottles are easier to grip and harder to break than ordinary glass bottles, yet still offer the chemical resistance and UV protection of amber glass. If the glass does break, the plastisol coating contains the substance in the bottle long enough to allow for proper disposal. Boston Round bottles feature a round body, curved shoulders, and a narrow screw neck opening. Plastic-coated Boston Rounds are ideal lab bottles for handling volatile substances. Manufactured by Berlin Packaging. We sell different capacities. Contact us at 1-866-222-2449 for additional information.